Led a seller in negotiations to keep from giving a discount to a buyer. Explained appreciation rates as an effect of affordability comparing multiple areas in the city. FORECAST: Sales are slowing down. It is likely related to the season, but normally it isn’t this apparent. If you are thinking about selling or buying call me so we can discuss your specific situation to determine the best course of action to meet your goals. The markets are slowing down, ever so slightly. This month we only saw about 50 more homes on the market as compared to the same time last year. 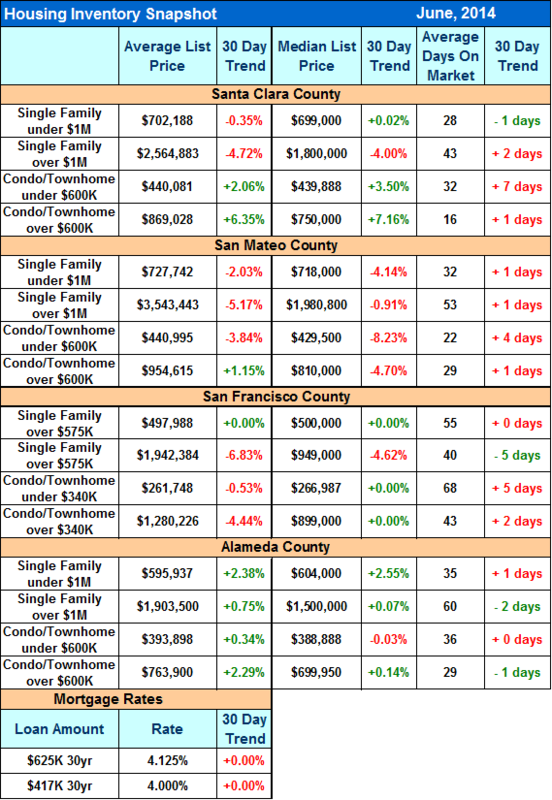 SIXTH month in a row where more listings came on than sold in San Mateo County. 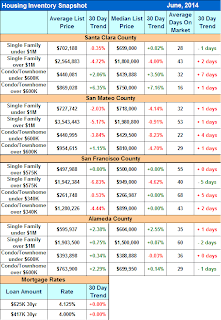 San Mateo County is also experiencing a slowdown in the markets. CALL ME IF YOU NEED ANY SPECIFIC INFORMATION.